Senior ministers and coalition MKs join call to bring Jewish population in Judea and Samaria into parity with Arab population. A new proposal calling for massive development in Israeli communities in Judea and Samaria and the rapid expansion of the Jewish population there has won the backing of dozens of Israeli ministers and lawmakers. The proposal, dubbed the “Shamir Plan”, after the late Prime Minister Yitzhak Shamir, was drawn up by the Nahalah movement, and calls for the a wide-reaching government program to increase the Jewish population of Judea and Samaria from roughly 450,000 to two million, Israel Hayom reported Tuesday. Prime Minister Shamir, who served as premier from 1983 to 1984 and again from 1986 to 1992, was a strong backer of the settlement movement, once setting the goal of bringing the Jewish population of Judea and Samaria to one million. In 1992, Shamir suggested he hoped to reach half a million by the year 2002. Nahalah, which has organized regular demonstrations outside of the Prime Minister’s residence in recent weeks, has called on Prime Minister Netanyahu to commit to the policy of settlement expansion throughout Judea and Samaria – even outside of the large settlement blocs – as a foundation of his next government, should he win reelection. Since then, the organization has managed to win the backing of dozens of lawmakers and ministers, who have signed Nahalah’s pledge, vowing to oppose the two-state solution and back unrestricted settlement activity throughout Judea and Samaria. The pledge also sets a specific goal for the settlement activity, calling for the expansion of the Israeli population in Judea and Samaria to two million, a more than four-fold increase from the current Israeli population there. The signatories include Knesset Speaker Yuli Edelstein (Likud), ministers Yisrael Katz (Likud), Yariv Levin (Likud), Zeev Elkin (Likud), Gilad Erdan (Likud), Naftali Bennett (New Right), Ayelet Shaked (New Right), Miri Regev (Likud), Tzachi Hanegbi (Likud), Ayoub Kara (Likud), Yoav Galant (Likud), Gila Gamliel (Likud), and Ofir Akunis (Likud). In addition, dozens of MKs and candidates in the Likud primaries (slated to be held on Tuesday), as well as Knesset hopefuls on the Jewish Home and New Right lists, have also signed the pledge. 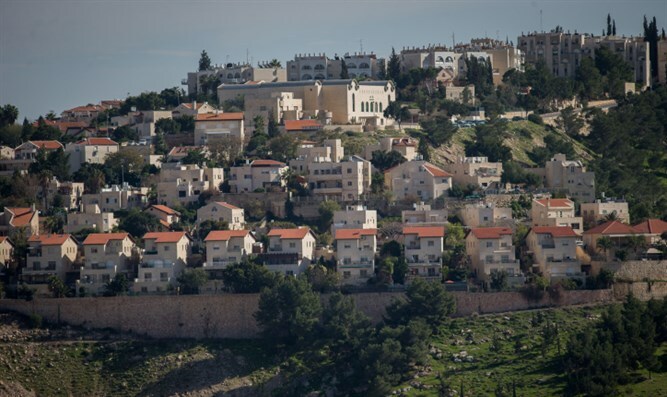 If implemented, the plan would bring the Jewish population of Judea and Samaria into rough parity with the area’s current Arab population, though estimates on the number of Arabs living in Judea and Samaria ranges widely. While official Palestinian Authority statistics place the number at roughly three million, nearly 800,000 of those included either live abroad or are counted as residents of Israel, due to their residency in Jerusalem. Some, including former Israeli ambassador Yoram Ettinger, place the number of Arabs in Judea and Samaria as low as 1.75 million, while others estimate it at roughly 2.5 million.